Why Choose Fan Heater: Because the temperature of the electric oven is high, the skin is easy to dry. 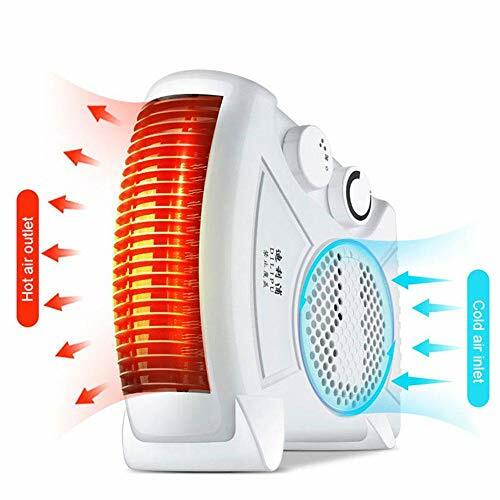 The heater does not, it is equivalent to a small air conditioner, blowing out the hot air, the skin is no longer afraid of drying. Suitable for heating in a small area of local area, especially for people. Fast Heater Fan: 3 seconds heating, giving you instant warmth in the winter. Can be placed flat and upright. 3 Modes: 2 modes of heating style: 750W and 1450W heating for your needs. And Cool Air Setting for summer days. Safe to Use: Using premium nickel-chromium electric heating wire, double protective and safe to use. Automatic temperature control design, rapid heating, making the family warmer. Silent Technology: low-decibel work, breathing-like quiet experience, let you sleep peacefully the whole night. Portable: Humanized handle design, makes it easy to move, won't hurt your hands.